Eiji was not a management theorist and neither did he found a business. His genius lies in his absolute determination to take on a huge challenge and do difficult things… and he did it twice. Eiji Toyoda was born in 1913 and grew up near Japan’s third city, Nagoya. There, his father had a textile mill, so Toyoda grew up surrounded by the potent combination of engineering and business that was to define his life. He studied engineering at Tokyo Imperial University and, upon graduating in 1936, he joined his cousin’s Toyoda Automatic Loom Works business, where they set up an automobile works and soon changed the name to Toyota. Toyoda took on a number of roles in setting up research and production planning, but the steady growth of the business was interrupted in 1941, when Japan entered the war. The General Motors car parts they needed were no longer available, and besides; the country now needed trucks. So Toyota became a truck manufacturer. In the early years after the war, trading was tough and Toyoda was heavily involved in the inevitable lay-offs. 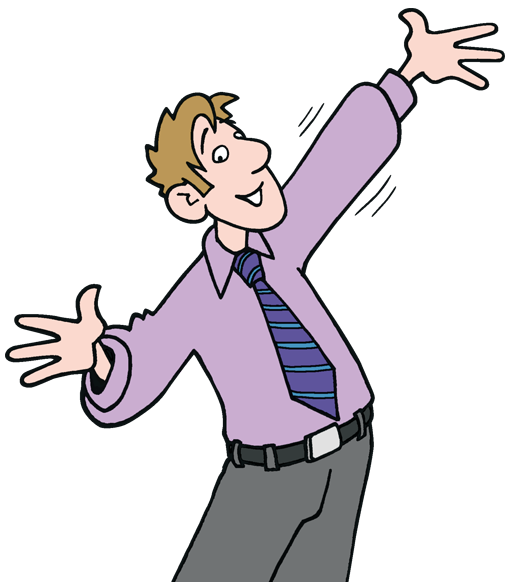 But he also decided to diversify the company’s future by establishing Toyota Motor Sales. But there was still precious little to sell. In 1950, Toyoda visited a Ford plant in Dearborn, Michigan. In the time since Toyota had produced their first car in 1936, they had built around 2,500. What Toyoda saw was a plant producing 8,000 every day. He saw immediately that this was the future and determined to revolutionise Toyota’s manufacturing. Toyoda – like many of his Japanese contemporaries – was often described as under-stated, or taciturn. This was characterised by his outward response to his experience in Michigan. He wrote back to Toyota headquarters that he ‘thought there were some possibilities to improve the production system.’ He brought a manual of Ford’s quality-control methods, which he had translated into Japanese, changing all references to Ford to ‘Toyota’. This was the start of his first big challenge. In 1955, Toyoda led the introduction of Toyota’s first mass production car, the Crown. It was a huge success in Japan, but in serving the Japanese market, it was poorly suited to the US Market, where it failed to gain a foothold. That came in 1960, when Toyota launched two new models, the Corona and the Corolla. Both sold massively in the US and, by 1975, Toyota overtook Volkswagen as the largest car importer into the US. 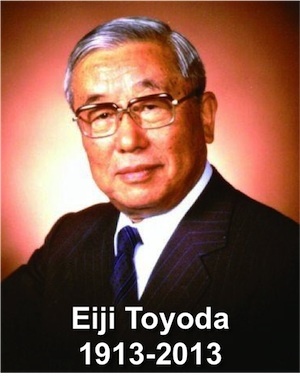 By then, Toyoda had been appointed president of Toyota, serving for longer than anyone to date, from 1967 to 1981, when he stepped into the newly created role of Chairman. It was as Chairman that he really took on and equalled the US, forming a joint venture with General Motors in 1984 to manufacture Toyota cars in the US. But it was a year earlier, in 1983, that he kicked off his second big challenge: to create a luxury car to challenge the best. This was to become the Lexus, which later grew into a new brand, to create a clear marketing distinction between the mass-market Toyota cars and the elite Lexus vehicles. His success was complete. Lexus regularly competes with prestige German marques Audi, BMW and Mercedes. In 1984, Toyoda resigned from the Chairmanship although he continued to go into the office (where all three of his sons are executives) into his nineties. He died, shortly after his 100th birthday, in 2013. To make JIT work, you need to see the production process as a part of a longer stream of activities from procurement to production to delivery. Customer demand drives ordering. TPS makes everyone responsible for quality. While Toyota did not invent continuous improvement, or Kaizen, it is only when everyone takes responsibility for quality that it can really work. From a top secret meeting to a world class luxury marque, Toyoda created a new brand from nothing but determination and around $2 billion of investment. Well, you can do a lot with $2 billion (I think – I’d love to try). But who, in 1983, would have thought that a Japanese car maker would out-engineer the German luxury brands? To do this, Toyoda’s engineers had an eye for detail that today reminds me of Apple. They tested the Lexus on Japanese roads, but knew that Japan would not be their primary market if they were to succeed. So they built new roads in Japan, mimicking roads in the US, UK, and Germany, and tested the Lexus on these. In the process of building the first Lexus, Toyota innovated and experimented like never before. And what did Toyota get for their 200 patents and 450 prototypes? The Lexus LS400 and the start of a whole new world class business.